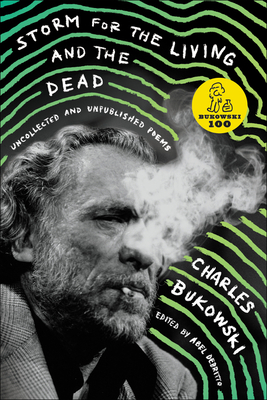 Charles Bukowski was a prolific writer who produced countless short stories, novels, and poems that have reached beyond their time and place to speak to generations of readers all over the world. Many of his poems remain little known since they appeared in small magazines but were never collected, and a large number of them have yet to be published. In Storm for the Living and the Dead, Abel Debritto has curated a collection of rare and never- before-seen material—poems from obscure, hard-to-find magazines, as well as from libraries and private collections all over the country. In doing so, Debritto has captured the essence of Bukowski’s inimitable poetic style—tough and hilarious but ringing with humanity. Storm for the Living and the Dead is a gift for any devotee of the Dirty Old Man of American letters.